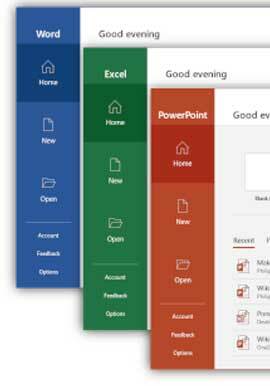 The latest Microsoft Office is available to make your experience about Microsoft software even greater. This product is available in many forms such as CD, DVD USB, and in download format for your convenience. It is a smart choice for students, home users, and businesses. Presentation counts. amaze your classmates, your teachers, potential clients, and business partners etc. with our user-friendly Word, Excel or the new wide-screen PowerPoint templates to turn your ideas into cool, convincing presentations. Write, type, click or swipe notes into OneNote notebooks. Easily organize your notes and find just what you need fast. Share notebooks to simplify group projects. Be a power Office user—the easy way. Type what you want help with in the new “Tell Me” box on the ribbon and it will tell you how to do it. Buy your Microsoft Office 2016 for your school work, home business and small business to accentuate your purpose and convey values easily.